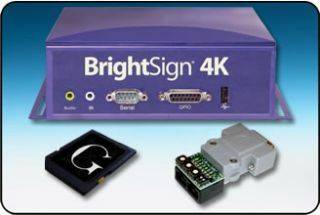 Postano will collaborate with BrightSign to make their social engagement platform available to BrightSign customers via its 4K1142 solid-state digital signage media player. This collaboration will allow 4K1142 users, which include both retailers and corporations, the ability to display Postano’s social media visualizations in an attempt to increase interaction and engagement with customers, clients and employees. Postano enables brands to find and curate the best social fan content and publish that content as visualizations across web, mobile and live screen displays for industries such as higher education, live events, sports, retail, and more. Postano integrates all the major social networks, allowing brands to aggregate and display user-generated content.